Start accruing the benefits of a printer with the real power to perform. With the new redesigned Lexmark T654n Series, you can now own an office machine that pushes quality and performance to truly impressive levels. From network security to user-access restrictions, Lexmark makes sure you’re fully equipped with all the tools you need to help keep your valuable corporate data safe and sound. In addition to IPSec, SNMPv3 and 802.1x network security, the Lexmark T654n Series offers an alphanumeric pad for easy PIN authentication, plus encryption and disk wiping to secure the optional hard drive. Enabled with Lexmark’s Embedded Solutions Framework, the Lexmark T654n family is the ideal platform for tapping into the benefits of Lexmark’s industry-leading enterprise workflow solutions. They can help you print less, lower costs, reduce waste and significantly streamline your processes. To learn more about Lexmark solutions, contact your Lexmark representative today. 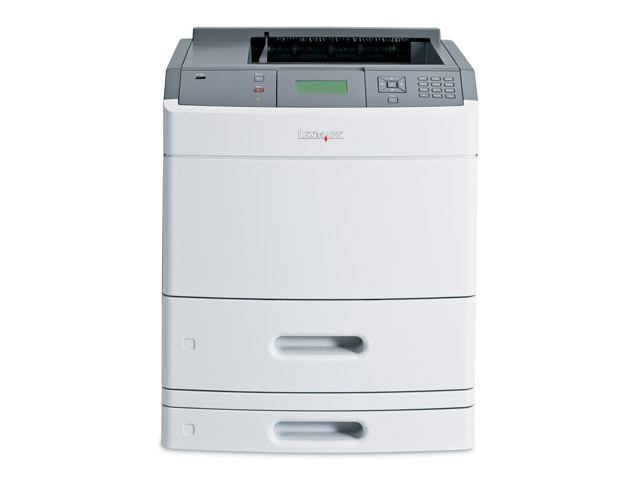 Robust, ultra-fast and incredibly versatile, the Lexmark T654n Series fits every type of need. Whether you’re looking for a serious performer for high-volume printing or an effective solution for printing on a wide range of media, these powerful monochrome laser printers deliver the ultimate combination of quality, low ownership costs and outstanding reliability. The Lexmark T654n Series offers you a wide range of intelligent features that help you maximise uptime, save money and work more efficiently than ever before. When you purchase a high-performance workgroup printer, you expect high-performance results and that includes flawless print quality. The Lexmark T654n Series combines true 1200 x 1200 dpi with automatic darkness adjustments and pixel-boosting technology, ensuring you high-quality, professional documents every time. Introducing the new Lexmark T654n Series, a robust range of workgroup printers that are built to last – and keep up with your heaviest print volumes. Which is more advantageous – more pages per minute or a quicker time-to-first-page? That depends on your print job. Lexmark T654n printers can identify the size and complexity of your job and automatically calculate the optimal speed – quicker time-to-first-page for short jobs and more pages per minute for longer jobs. So whatever you’re printing, you’re always sure to get the fastest result! Printing responsibly means everyone wins – your business, your budget and the environment! 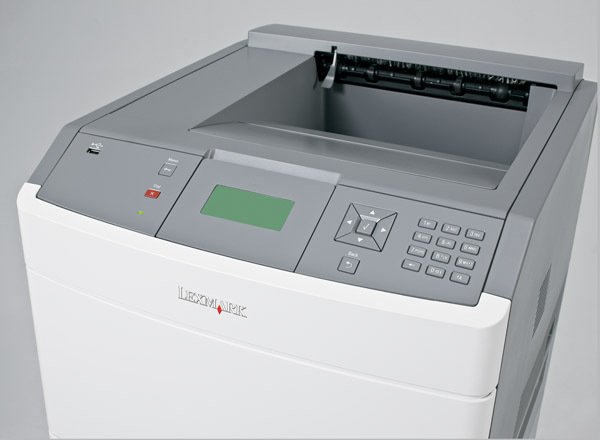 Lexmark T654n Series printers are designed with sustainability in mind. They’re incredibly quiet and equipped with a range of eco-conscious features to help you print greener at every level.